Gomer Williams Solicitors, of Llanelli and Pontarddulais, has announced five new directors for the business, which is one of the oldest-established firms in West Wales. The exciting move sees five female members of staff promoted from their current roles as acting heads of departments. It marks the end of a very successful year for Gomer Williams Solicitors. “We are absolutely thrilled to be able to acknowledge the hard work of our senior staff members. “2019 marks the 100th year of Gomer Williams and we are excited for the year ahead. “We pride ourselves on the development of our staff members and the announcement of five new directors comes with a great sense of achievement. “As one of the longest-established continually-trading companies in the area, we offer traditional values with a fresh approach. Sarah Lewis joined the practice in 2017, bringing valuable expertise and extensive experience in the field of conveyancing and property law. Having built an admiral reputation, Sarah continues to receive referrals and recommendations from clients across the UK, which is testimony to the quality and efficiency of her service. Trina Wilkins has a particular interest in contentious probate. She is a member of the Association of Contentious Trust and Probate Specialists (ACTAPS). She is experienced in dealing with Inheritance Act Claims, Will challenges, estate administration disputes, trust claims and disputed Court of Protection matters. Kate Clarke has vast experience in wills and probate and residential conveyancing. She specialises in elderly client work and is particularly sensitive to their needs. She has worked in a variety of small local practices and larger international firms and has a wealth of experience in her field. Laura Sherwood joined Gomer Williams in 2013 and is very popular with clients. She is a proven strong advocate both at the police station and in court. Laura’s knowledge of the law and approachable personality is such that she is regarded as one of the ‘go-to’ criminal lawyers in the South Wales. Lucy Williams is a Fellow of the Chartered Institute of Legal Executives and practices within our busy Family Law Team. She works with individuals and families across the region to provide compassionate, clear and confident legal solutions to a variety of family and childcare law issues. Lucy is a real success story for Gomer Williams. 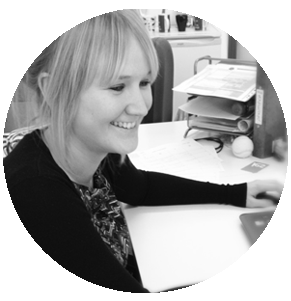 She started with the firm as a legal assistant and has flourished through the ranks to now become a director. “We are very much focused on the future development of Gomer Williams and looking forward to some special celebrations for our centenary year. The firm sponsors Welsh Premier League football side Llanelli Town AFC (The Reds), Garden Village AFC. The business also works with the Maggie’s cancer care unit in Swansea. Juliet Philips-James is on the board of Threshold, the domestic abuse charity in Llanelli, and is the legal columnist for the Llanelli Star and Llanelli Online.